The sun is expected to shine throughout much of the campus on Picnic Day, Saturday, April 21, but it won't be shining in this place. Not a chance. It's where the sun doesn't shine. Think "south end of a beaver." The Bohart Museum of Entomology open house, from 10 a.m. to 3 p.m., will focus on nocturnal insects, cave dwelling insects and "yes, beaver parasitic beetles or Platypsyllus castoris, an ectoparasite on beavers, near their glands, wounds, and skin," according to Tabatha Yang, education and outreach coordinator. “And with the help of some lighted magnifying lenses, and my colleague, Brennen Dyer's masterful use of hi-res macro magic, both the cozy residents and their luxurious dwellings will be in full-glory to astound and delight all visitors!” Wade quipped. "The beavers were graciously loaned to us by Andy and Irene Engilis of the UC Davis Museum of Wildlife and Fish Biology to exquisitely enhance our beetle display. Visitors will be able to view two types taxidermy AND feel a beaver pelt while learning about the life history of these odd beetles." These beetles aren't what you might expect to see. 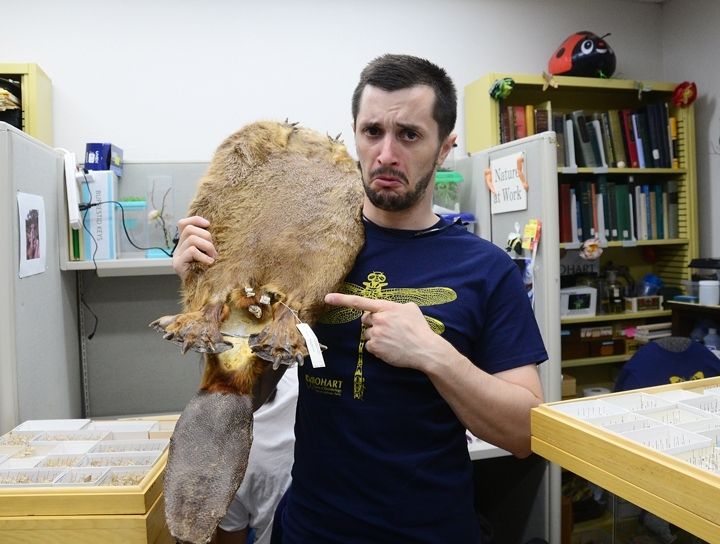 "These beetles look like they are to fleas what halibut are to other fishes," Spencer points out. 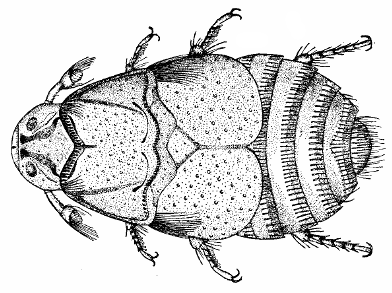 "Instead of the lateral compression fleas exhibit, Platyspyllus castoris are dorso-ventrally flattened, which only adds to their alien appearance. Their unique feeding and lodging preferences have given us so many good laughs, we wanted to make them the star of this year's picnic day event at the Bohart." One more thing. 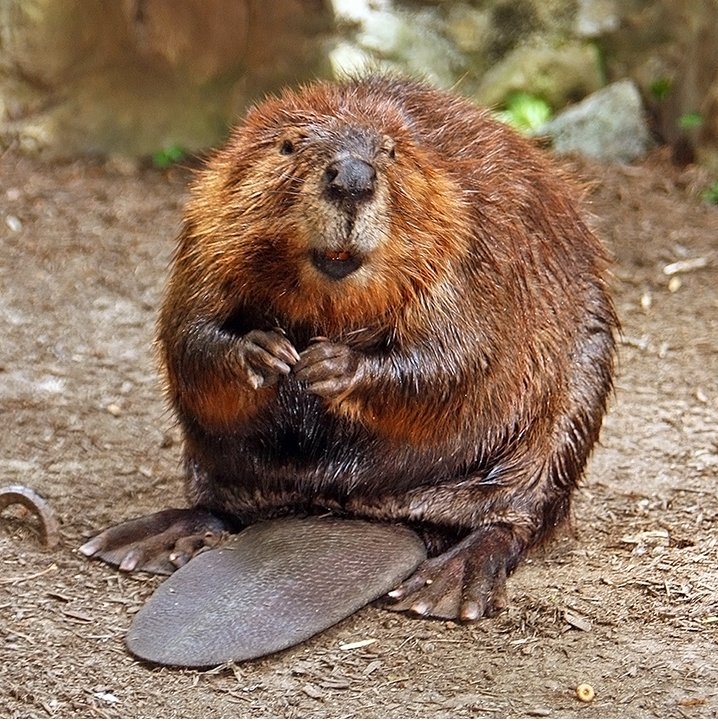 "To be a tad more descriptive," Spencer says, "they call the beaver's perianal region home; they help keep the beavers clean both inside AND out by feeding on dead skin, secretions of the castor glands (where "natural" and "raspberry" flavorings come from), and if they are in the mood, they'll indulge in a little blood or fluids from oozing wounds. They're basically like crawling, itchy, toilet paper that occasionally bites and you can never scratch off! According to BugGuide.net, they're also found on otters. 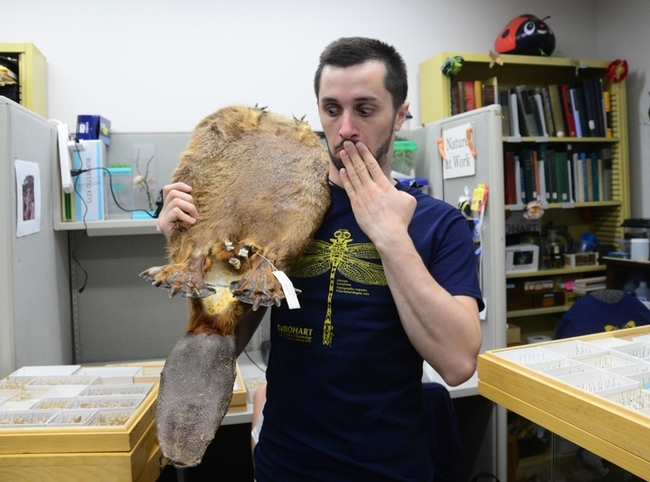 The Bohart Museum, located in Room 1124 of the Academic Surge Building on Crocker Lane, houses a global collection of nearly eight million specimens. 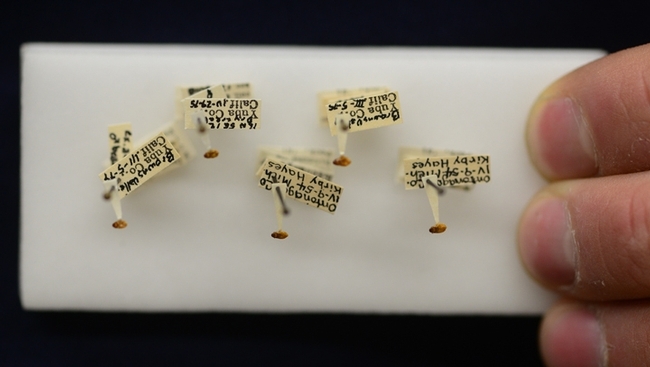 Directed by Lynn Kimsey, professor of entomology at UC Davis, the Bohart Museum is also the home of the seventh largest insect collection in North America, and the California Insect Survey, a storehouse of the insect biodiversity. Special attractions include a “live” petting zoo, featuring Madagascar hissing cockroaches, walking sticks, praying mantids and tarantulas. Visitors are invited to hold some of the arthropods and photograph them. The museum's gift shop, open year around, includes T-shirts, sweatshirts, books, jewelry, posters, insect-collecting equipment and insect-themed candy. The Bohart Museum holds special open houses throughout the academic year. Its regular hours are from 9 a.m. to noon and 1 to 5 p.m. Mondays through Thursdays. The museum is closed to the public on Fridays, Saturdays and Sundays and on major holidays. Admission is free. More information on the Bohart Museum is available by telephoning (530) 752-0493 or emailing bmuseum@ucdavis.edu. I want to say something clever but you already did! So I'll just say it's verrrrry interesting. HA HA HA!!! Oh... the things I learn on this blog! Hysterical!